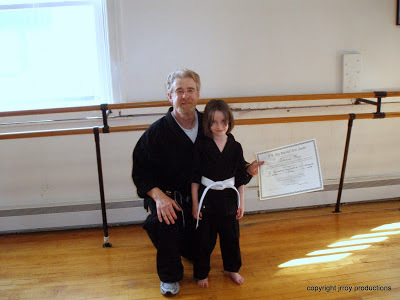 Sifu and Little Dragons graduate GR. GR has completed on full year (two semesters) of the Little Dragons program and now has two red stripes on her White Belt. 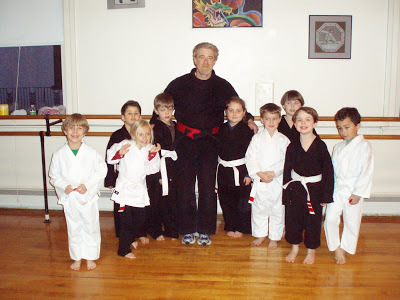 This past Thursday the Little Dragons class graduated from the winter/spring semester. Four of our students were not able to be there for this picture because the families were out of town. Only three students graduated from the entire 6 month semester. The remainder of the students had started within the past several months. Out of the three that did attend the entire semester only one was present this past Thursday. GR received a certificate and a ‘red stripe’ on her belt in recognition of the ‘time in rank’. 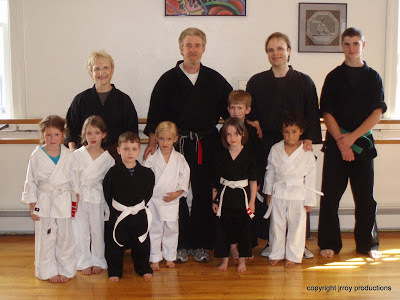 There will be a Little Dragons class in July, but it will meet on Thursday morning from 10:30-11:00 AM. 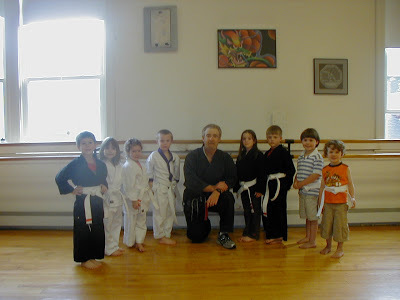 The Thursday afternoon 4-4:30 class will resume the first week of September. 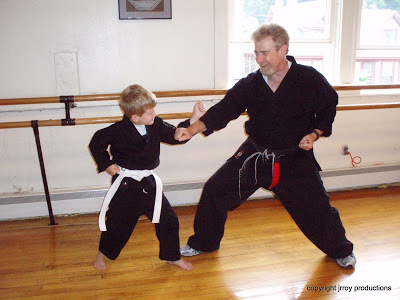 Hi everyone…I’m creating this blog to archive some of my martial arts ideas, photos, videos and teachings. for as long as you are able to. and what can be learned from successfully developing a life long daily practice. Cultivating the capacity to practice X many day’s in a row. Just to be healthy enough, physically, mentally and emotionally to be able to! A celebration of human existence….